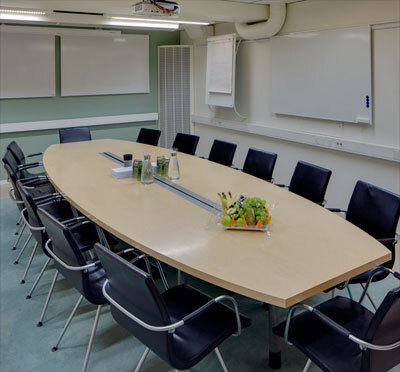 Kungsholmen in central Stockholm is well-known for its beautiful surroundings and cozy feel - and of course its conference facilities. 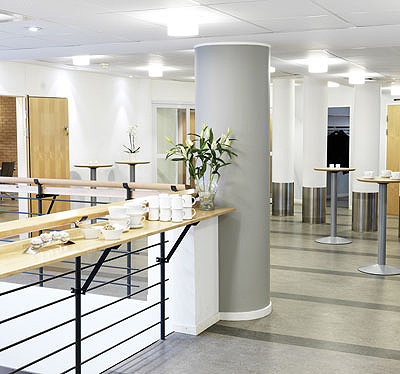 Lindhagen Mat & Möten is a day conference facility named after Kungsholmen's original urban architect Albert, who in the 19th century saw the potential in Kungsholmen's radiant environment. 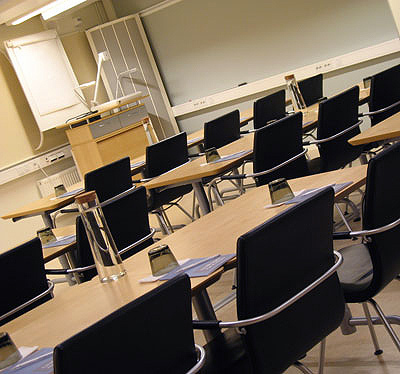 We are a facility for day conferences, but please ask Kontur Konferens for further service in booking hotels nearby. 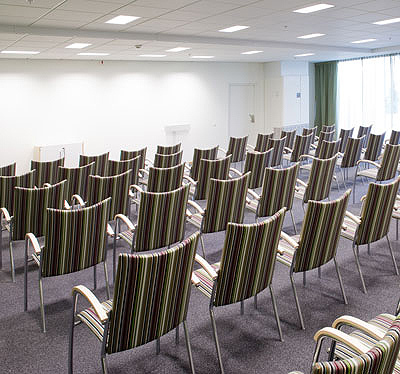 Ten conference rooms in total make Lindhagen Mat & Möten a wide-ranging facility for conferences. 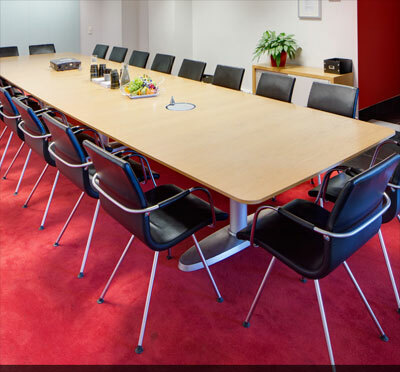 The biggest conference room, Horn, accommodates up to 75 meeting guests. 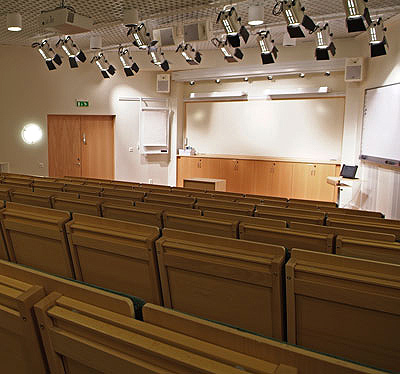 Horn is a solid auditorium with wooden benches and folding tables. 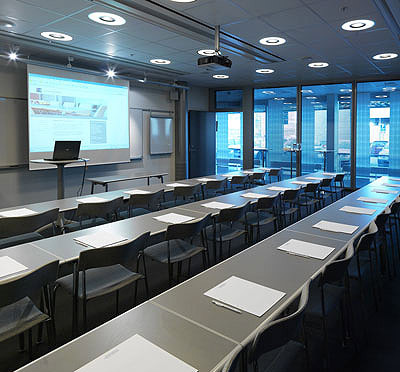 The second largest rooms are St. Göran and Warvinge; together they accommodate 32 people or 14 delegates each. Lindhagen Mat & Möten works on a whole concept and can offer tasty conference meals during the meeting, from breakfast to coffee, lunch and dinner. Please ask us if you want more details about all the tasty options available! Choose one of Lindhagen Mat & Möten’s fixed conference packages and combine the meeting with an activity. Does the team need a boot camp? Perhaps a lecture on a relevant topic? Test the knowledge of a quiz? Kungsholmen is a quiet and peaceful oasis in Stockholm. All public transport is here and the meeting guests have no trouble finding Lindhagen Mat & Möten. 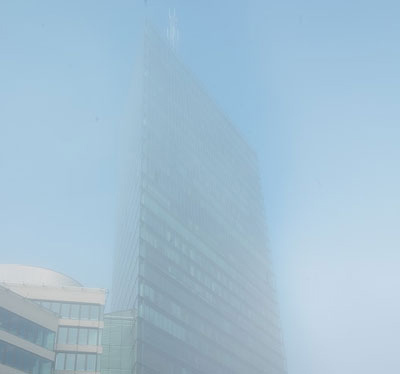 Have you been to Lindhagen Konferens and want to give your own comments?